During our bird watching tour in Zapata, our (very good) guide who was walking in front of us said “a big lizard” and kept on walking. We stopped, and looked, and suddenly from the background “noise” this huge anole popped out – it had been glaring at us the whole time, but it was so well camouflaged that we simply could not see it! The guide gone, the four of us (boyfriend and I and an Alaskan couple) started taking photos with no idea of the species or even family. An iguana? Someone suggested. But no, it didn’t remind us of an iguana. Then it moved. A chameleon! Definitely. But a strange, primitive one. And missing the curly tail (one of my favourite characteristics). When we got back to Playa Larga we asked around. It was confirmed to be a “false chameleon” by everyone we talked to and we were quite excited to have seen this large lizard! Then we got home, and asked the infinite internet, which proved us and the people we talked to slightly wrong. There is a “false chameleon” in Cuba, a.k.a. 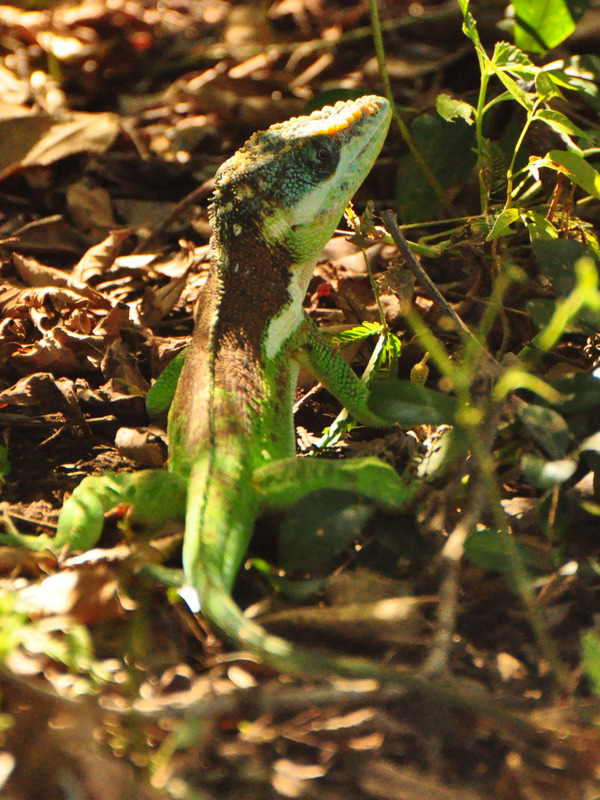 the Western bearded Anole, Anolis barbatus, however it is not the one we saw. Also not a chameleon, but an Anole, like the one we photographed which turned out to be Anolis equestris, the Knight anole. 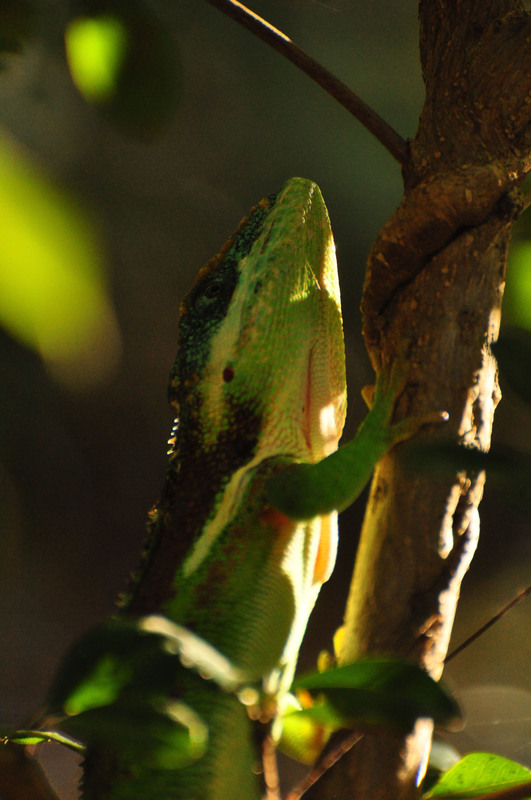 I say “slightly” wrong because this anole really does look, walk and act like a chameleon – it can even change colour! Why knight? I’m not sure. It was once “only in Cuba” but has now been introduced in Florida. It has adhesive pads under each toe that give it the Spiderman-ability to run up vertical surfaces such as trees and walls. 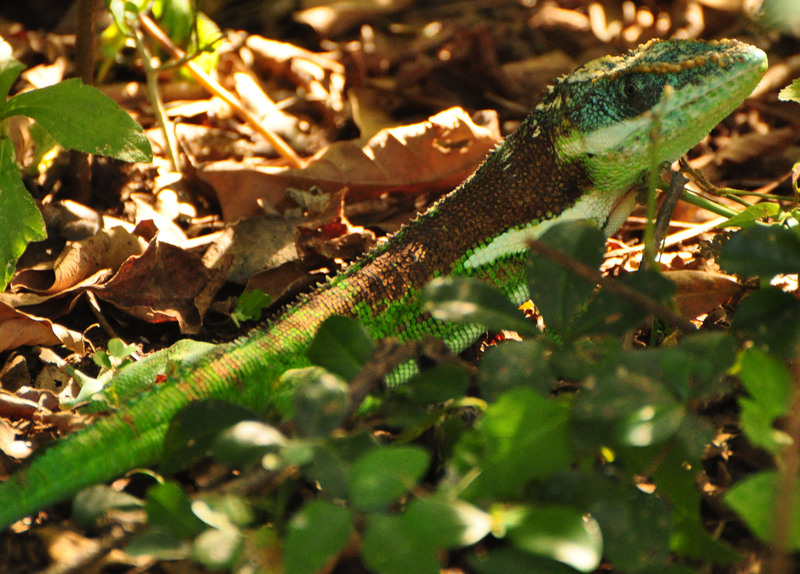 It is a diurnal reptile that is considered an insectivore but can eat spiders, small lizards and moths. This anole is also widely sold in the exotic pet trade as it is an easy and pretty reptile to keep – apparently it’s infamous aggressiveness disappears when it’s hand raised. I was very happy to have seen this beautiful animal in the wild and in it’s original habitat! Most beautiful! 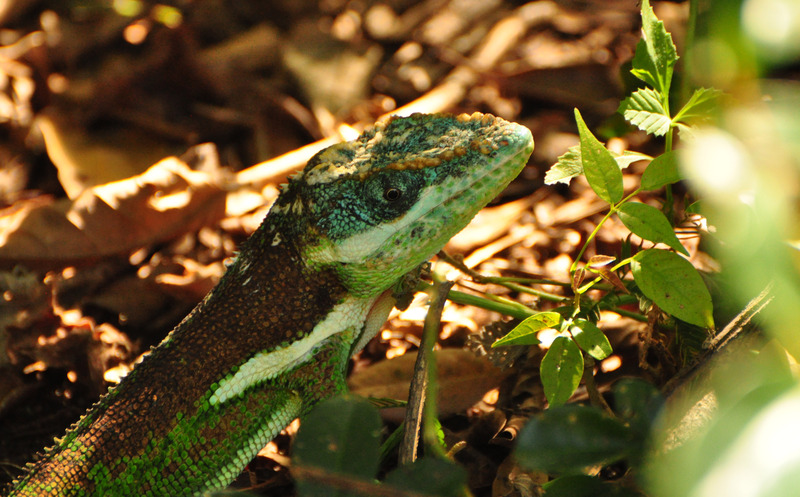 I live in central Florida and always keep my eyes peeled for Cuban knight anoles when I head down to the Miami / Coral Gables area. They truly are magnificently cool anoles (and much, much bigger than our native Carolina green anole, Anolis carolinensis). Tough and surprisingly fast, these knight anoles are!